SoftPlanet makes it possible for everyone to get free TaskBow download directly from our servers. There is no registration needed for downloading. 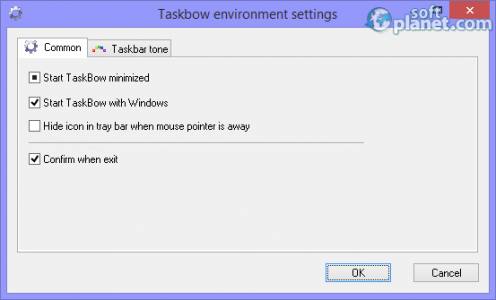 TaskBow 1.1.6.1 is a Windows taskbar enhancement program that can replace your existing taskbar with a new one. Then you can do more things to your taskbar windows and best of all – you can find programs quicker than the standard Windows taskbar. The reason for that is a better human eye response to different colors than different light intensity. 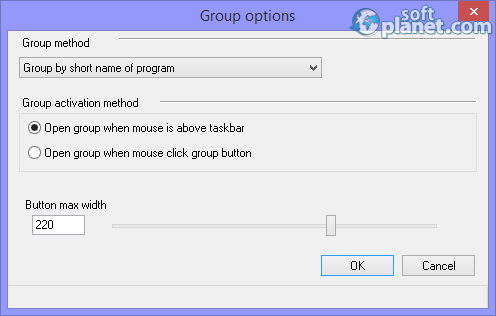 The user interface of TaskBow consists of five tabs, with each one having its own settings to tweak. 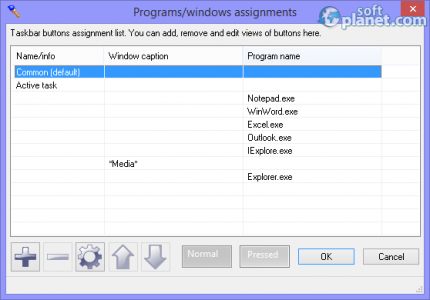 Using them you can assign colors to program windows and to program names inside these windows. A priority can be given to the programs and the higher the assignment is, the higher the priority is. 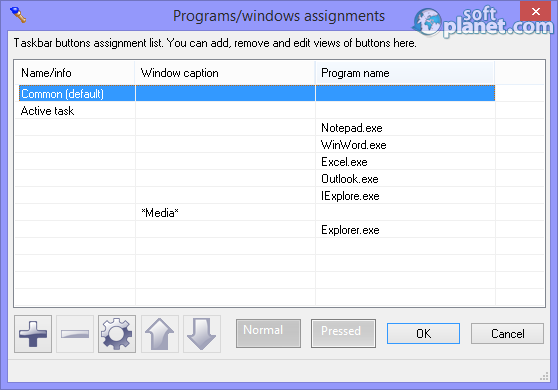 You can also collect and organize your programs in the taskbar. 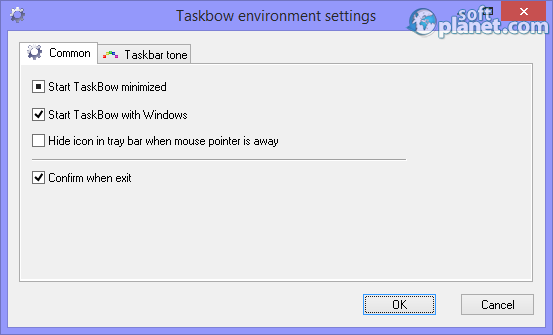 In addition to everything else TaskBow allows you to set a background color tone for your taskbar. The color will be mixed with the Windows content of the taskbar. So this app can bring some diversity to your life and even more than that – it can change the way you work with your Windows OS. Our security scan shows that TaskBow is clean from viruses. The current version of TaskBow has been scanned by our system, which contains 46 different anti-virus algorithms. That ensures that TaskBow 1.1.6.1 is 100% safe for your computer.